The LITTLE leading ladies are BACK in NYC after jetting down to the "A" for a press stop. They've been all over the nation - Vegas, NYC, Atlanta - promoting their brand new comedy flick that we can appreciate even more than any other regular comedy. It features three powerhouses we can't wait to see on the big screen next week. 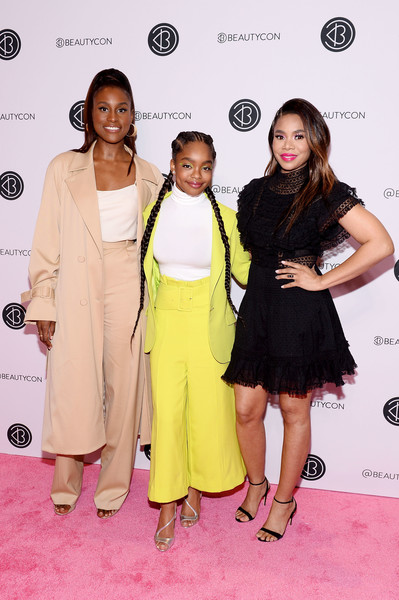 Yesterday, Issa Rae, Marsai Martin, and Regina Hall made their way to the 2019 Beautycon Festival held at Jacob Javits Center in NYC. The ladies have been working hard making all of these moves, but still FAB as ever. 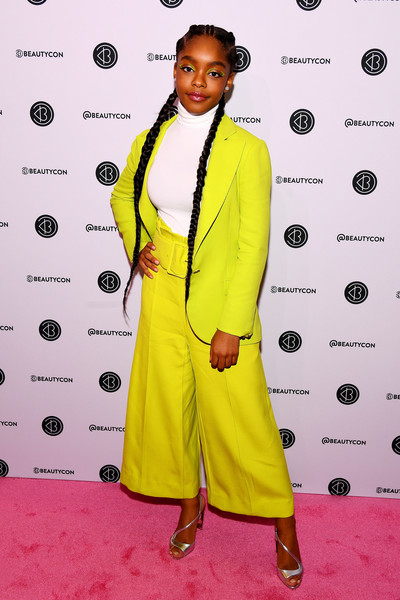 The "black-ish" starlet lit up the carpet in this bright yellow wide legged powersuit. The "Insecure" star kept her color palette neutral that gave off Easter/spring vibes. 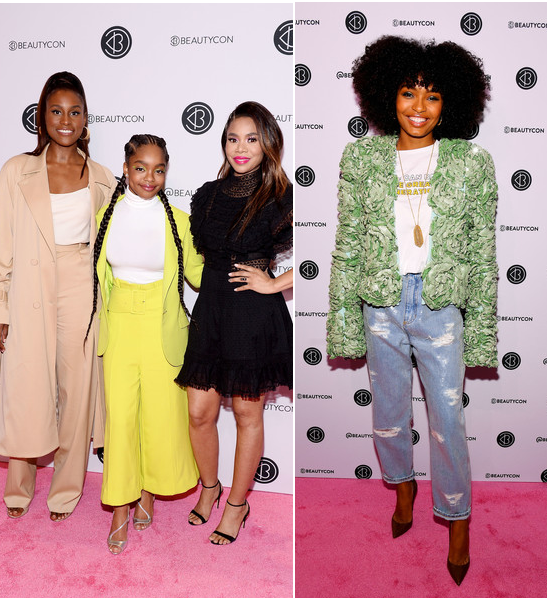 Girls Trip actress pulled off this cute black lace dress as she posed it up on the pink carpet. 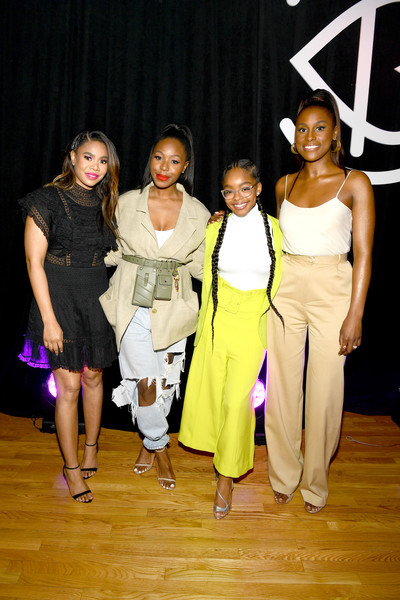 Fashion/Beauty editor Kahlana Barfield Brown moderated a panel with the ladies and it was FIRE. The ladies discussed several topics, but #BlackGirlMagic was the central theme of the discussion. 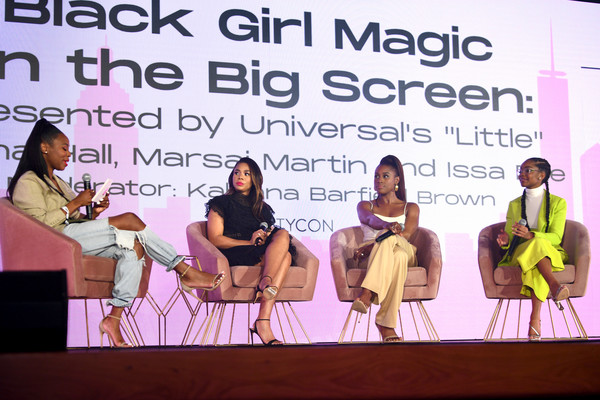 The ladies opened up about the power of learning how to shift your insecurities into action, and the importance of representation both on the big screen and behind the scenes, which is super important. Social influencer Lala Milan posed it up in colorful wiggery. 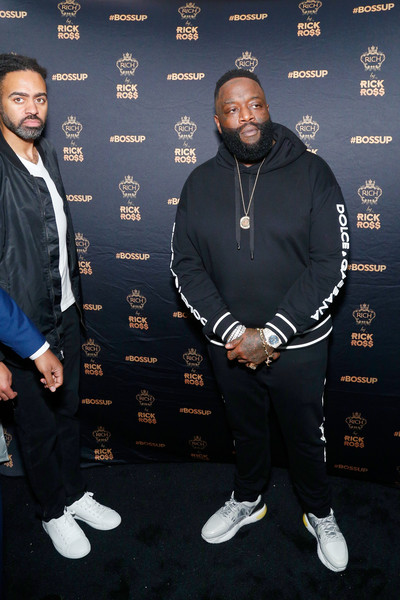 Rapper Rick Ross was there to promote his beard growth and care products, RICH by Rick Ross. 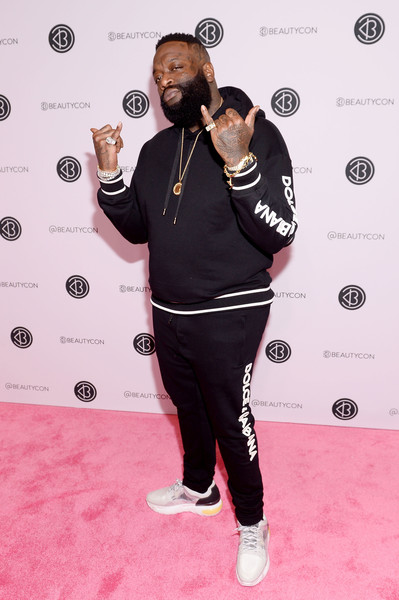 He sells an array of products for men to get their beard poppin'. And FRESH. 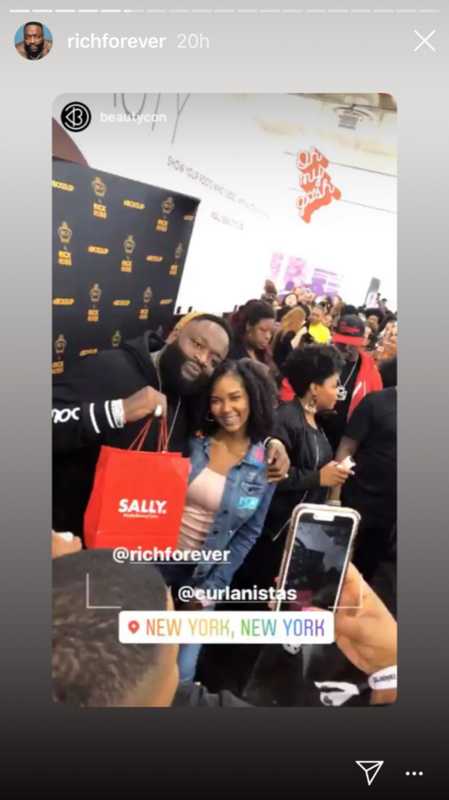 I got to thank @sallybeauty and my partners at @richbyrickross for making #beautyconnyc such a boss event Today.Its clear RICH BY RICK ROSS #BEARDOIL IS THE ‘BIG NEWS IN THE BEAUTY BUSINESS’.Couldnt happen w/o you!! 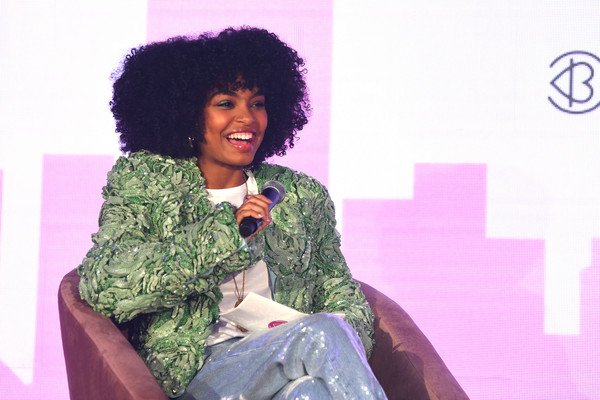 "Grown-ish" star Yara Shahidi was there to promote her new romantic drama, The Sun Is Also A Star. It's a modern-day story about finding love against all odds, and whether our lives are determined by fate or the random events of the universe. We'll see the teenage star fall in love on-screen when the movie hits theaters May 17th. See the trailer HERE. On the magazine front, the 19-year-old Harvard student covers the May 2019 issue of Cosmopolitan magazine alongside her co-star Charles Melton. Hollywood just got hot... (wait for it) ....... ter catch me and @melton on this month’s cover of @cosmopolitan dancing, eating and acting like we can play pool! @thesunisalsoastar out May 17th! In the cover story, she talked about not having time to focus on love in her real life because she's so busy. She also talked about how close she and her "Grown-ish" cast mates are in real life. Check it out here.